Extraordinary footage has been captured by scientists of the rarely seen manefish. The footage recorded by a remotely operated deep sea vehicle shows the fish swimming in the deep for the very first time. 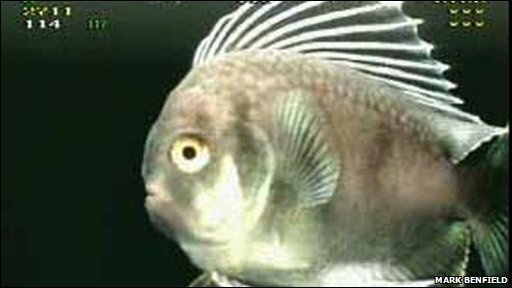 It reveals that the fish has unusual ventral and pelvic fins fanned out like a parachute, giving it very precise locomotion. The team filmed the mysterious fish underneath an oil platform in the Gulf of Mexico.